It is that over bulging fatty tummy that gets some people into a frenzy to have these extra pounds shed. Some persons are comfortable with the way they look, but not everyone wants or desires to walk around with this type of unnecessary burden. Now as we all should know, everyone has some amount of fat here and there, a little is just right since it helps in heat production, stomach cushioning and organ protection, however, a little too much can seriously cause damage that can even lead to death. But not all fats are good for our bodies; in fact, there are two types of fats; the bad fat and the good fat. The good fat is what we need, but the bad fat is what we need to get rid of. Researchers have shown all over the world especially in the USA that there is a weight issue, that is causing a great portion of the population to suffer from coronary heart diseases, cancer, depression, diabetes, arthritis, obesity, stroke, sexual dysfunction, dementia and sleep disorders, just to name a few. The fat that causes all these issues is the bad fat. It is also known as visceral fat. It is practically fat that is located underneath the skin, that is in a gel-like form that contaminates or surrounds and stifles the organs more so the liver, Kidney and the pancreas. These issues are more so linked with large guts and overweight persons. This can lead to a lot of issues that can cause the body to crash due to inflammation of vital areas that can ultimately lead to death. That is the clear reason you need to give The New Year 72 Hours Belly Fat Detox Water a try. 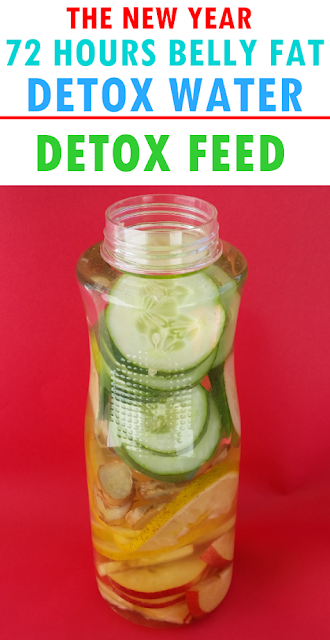 This water contains foods that will help burn that belly fat, replenish the body with vitamins and minerals, flush toxins out of your system and give you a nice flat belly. Step 1. 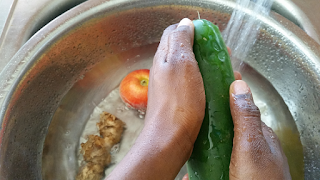 Wash cucumber, apples, lemon and ginger under running water in a bowl. Step 2. 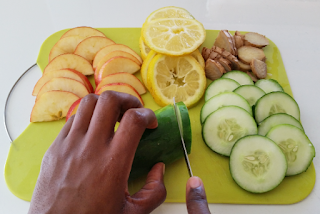 Cut ginger, apples, lemon, and cucumber into small slices. Step 3. 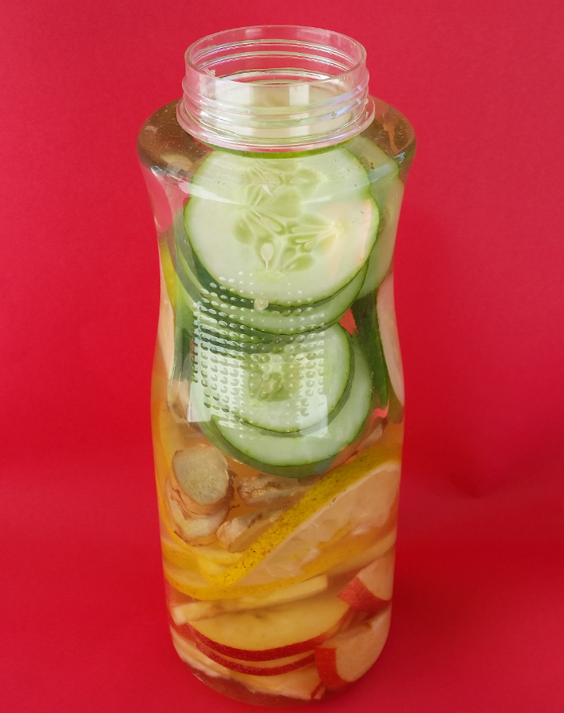 Add sliced cucumber, lemon, ginger, and apples into a larger container or water bottle. Fill up bottle or container with filtered water as seen above and place it into the cooler to sit for about 1 to 2 hours before you drink or let it stay overnight for maximum results. You should drink this water for 72 hours or for 3 days. Replace the fruits in the bottle every day before you add fresh water into the bottle. You can do this on a weekly basis, preferably weekends. You can pause and restart whenever you like.